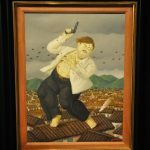 Medellin has become famous over the past few years for it’s impressive commitment to innovative and progressive social and architectural projects. It clearly still has it’s issues to sort out, like many global cities, but in going from the world’s most dangerous city in the 90s to ‘most innovative’ in 2013, Medellin has undergone a dramatic face-lift, and is appealing to more and more tourists and expats, keen to enjoy it’s ‘Eternal Spring’ weather and extensive public transport systems. 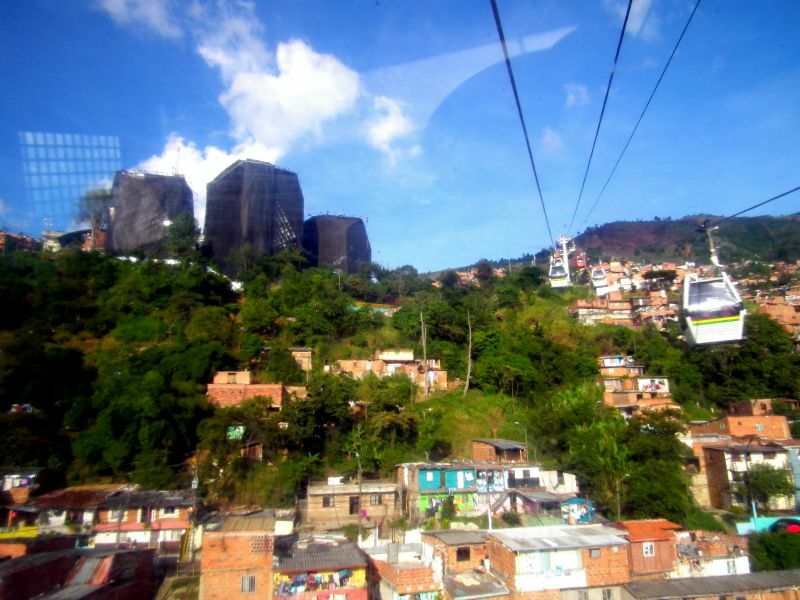 I spent the past weekend in Medellin, and one of my priorities was to spend the day exploring the Metrocable lines, their destinations and, ultimately, the beautiful Parque Arvi at the end of the line. Riding the Medellin Metro couldn’t be much easier really, but check out the below map for the complete Metro routes, including the Metrocable lines. Simply join the queue to buy a ticket (at 2.000 COP per journey – as long as you don’t leave the Metro system one journey could go on all day! – it’s great value) and then head in the direction of Acevedo station. When you exit the metro in Acevedo simply follow the signs to the Metrocable and wait your turn in line to hop on one of the cable-car gondolas heading up the mountain (for no extra charge as you haven’t left the system yet). Between 6-9 people are usually on one gondola at peak times, but sometimes you can have an entire one to yourself as I did a couple of times on my Saturday afternoon visit. As you can see on the map, there are 3 main stops along Like K: Andalucia, Popular and Santo Domingo. 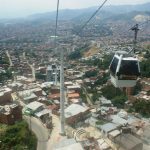 Most tourists will want to ride straight on through to Santo Domingo, enjoying the stunning, usually sunny, panoramas of Medellin on offer from the cable-cars. 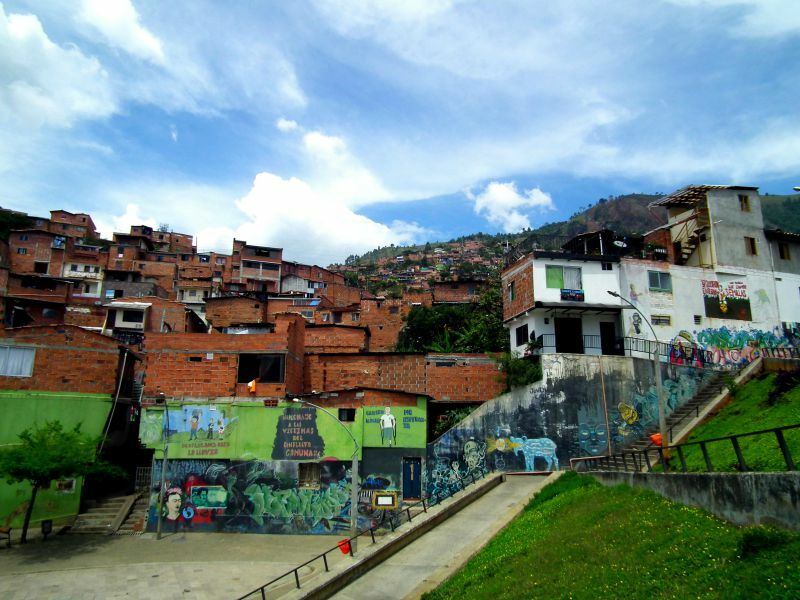 The fact that this is a public transport route makes the ride an interesting mixture of people, and takes you directly over some of the poorest and previously most dangerous, neighborhoods in Medellin. When you arrive at the end of Line K in Santo Domingo it’s well-worth exiting the system to wander around the bustling barrio and walk around towards the towering Espana Library Park (a hallmark of Medellin’s social urbanism policy). From the edge of the park is a wonderful viewpoint offering remarkable, expansive views over the city, with the cable-car gondolas swinging by in front of you. It’s a stark reminder of how this was a no-go zone just a decade ago. 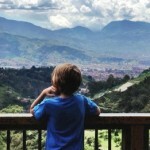 Once you’re done taking in the stirring views, head back over to the station and pay your 4.600 COP for the half-hour ride over the mountains and forests on the edges of Medellin to Parque Arvi (beware that on the weekend the park will be much busier with weekenders). The ride alone is pretty special as you see how quickly the natural geographical boundaries of the Andes curtail the growth of the urban area. One minute you’re looking down on unchecked construction and urban areas and the next it’s small rural farm-like buildings and then, suddenly, woodland stretching over the mountains as far as the eye can see. Once you arrive in the park you are greeted by a friendly set of staff and a helpful information booth to provide you with maps and all the info you need. Within close walking distance of the terminal are some nice restaurants and eco-coffee places, a nice little market and some road trails into the interior of the park. 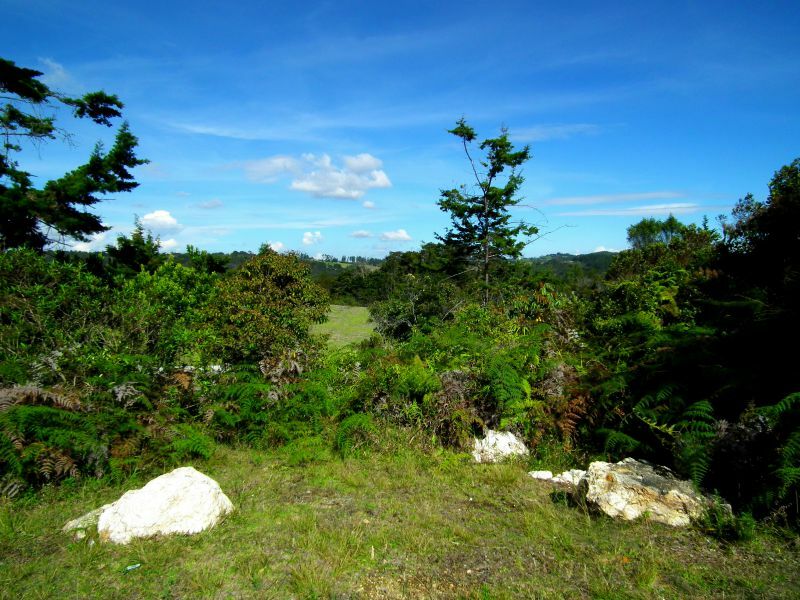 I opted to pay 5.000 COP to join a small one hour guided walk through the woodland nearby the terminal to explore the flowers and orchids of the park. My guide, Diana, was well-informed and passionate, and I’d recommend joining a walk to get some real information on the ecosystems of the park. Other options are to jump on some of the public transport by the road and head off into the park to visit it’s lakes, woods and small towns. Follow this link for a full map of the park and all the information on activities offered. It cost’s the same to ride back down to Santo Domingo where you transfer back onto the main line (paying another 2.000 COP standard metro fee). From here you can ride back down over the city and transfer to the metro to wherever you want in the city. 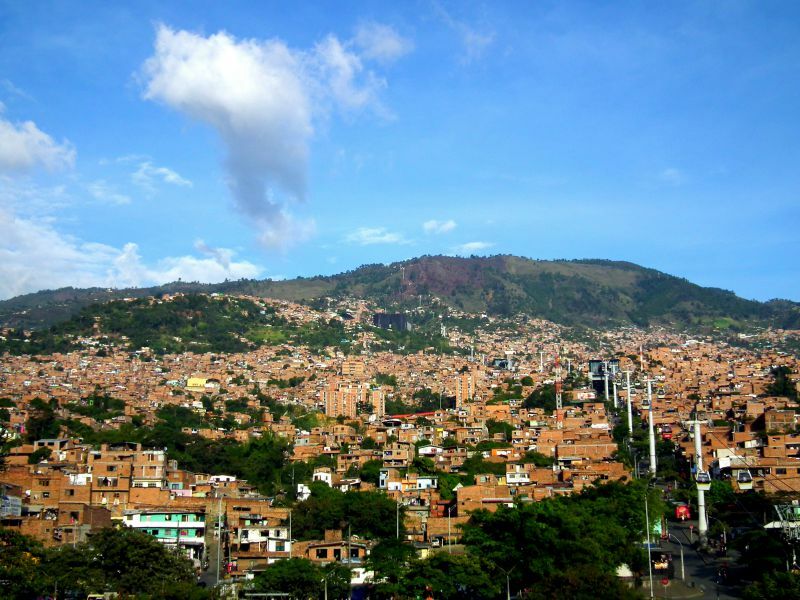 I loved my day exploring the Metrocable: the views, the chance to explore Santo Domingo neighborhood, and the lovely, sun-dappled woodlands and greenery of Parque Arvi add up to a must-do activity on a visit to Medellin. And it’s a nice cheap day-out too: the total cost of the must-pay fees is a meagre 15.200 COP. 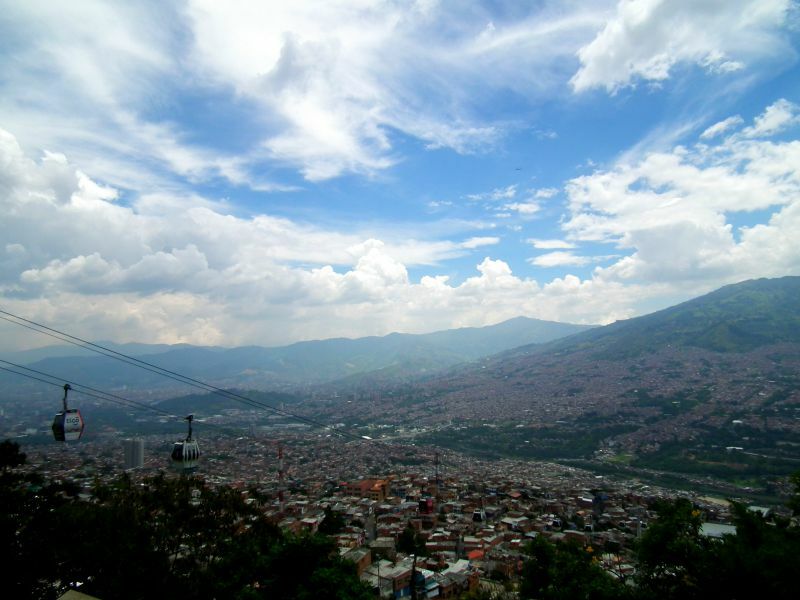 So when you visit Medellin make sure you take the time to enjoy the Medellin Metrocable. About Time. 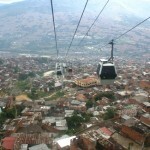 Medellín: Most Innovative City of the Year.